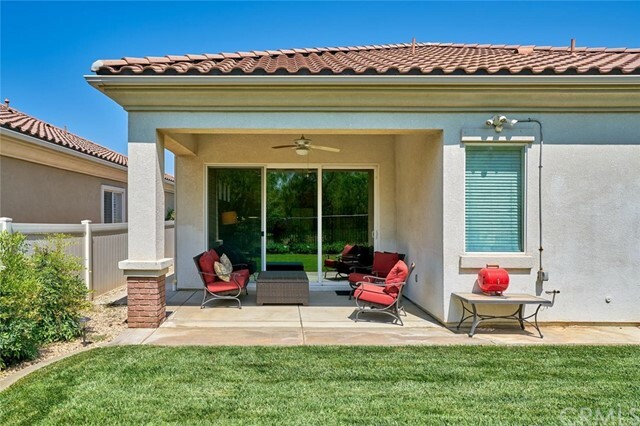 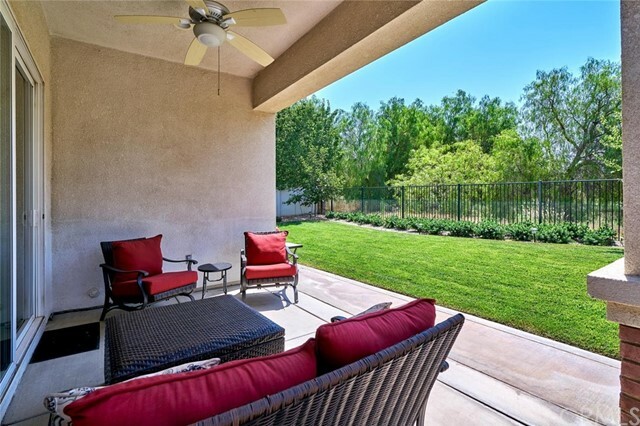 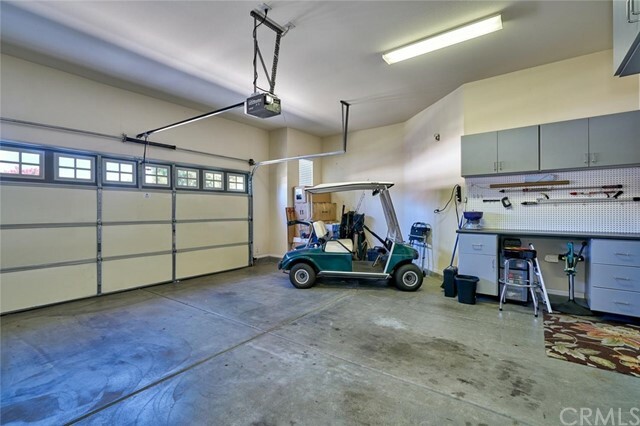 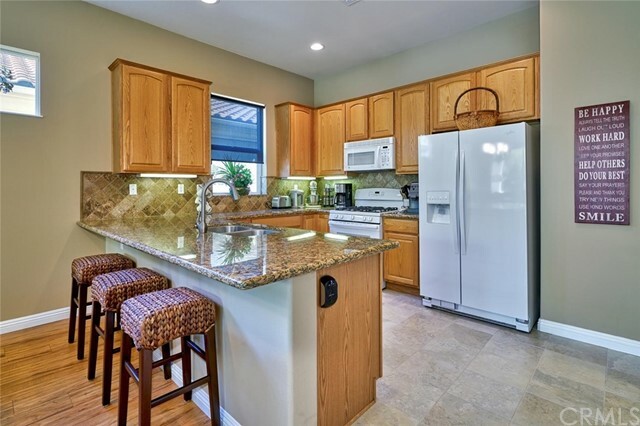 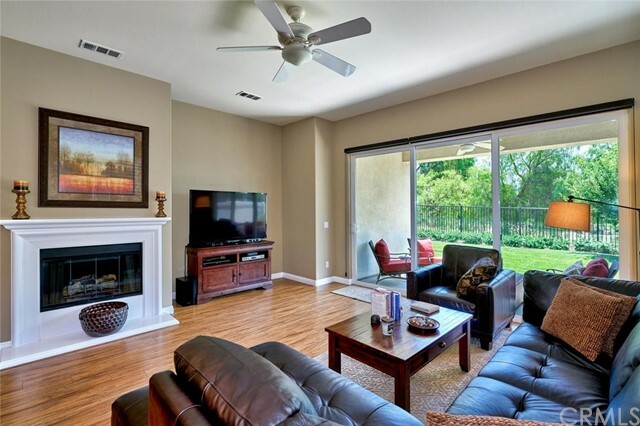 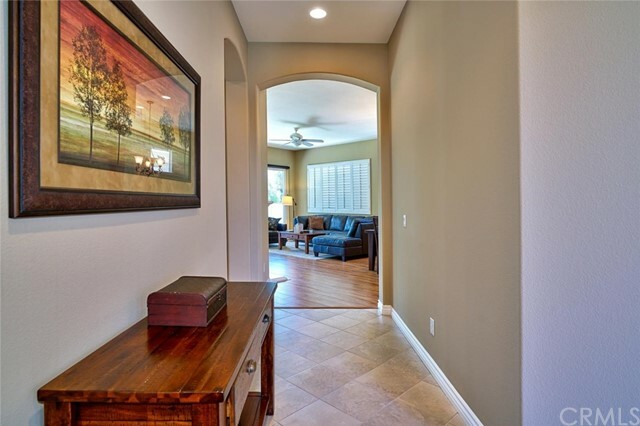 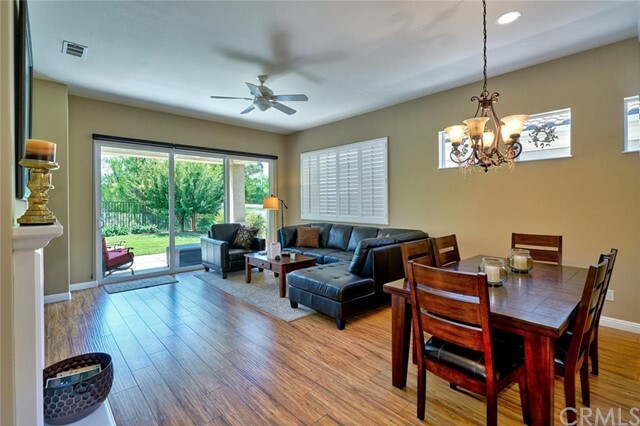 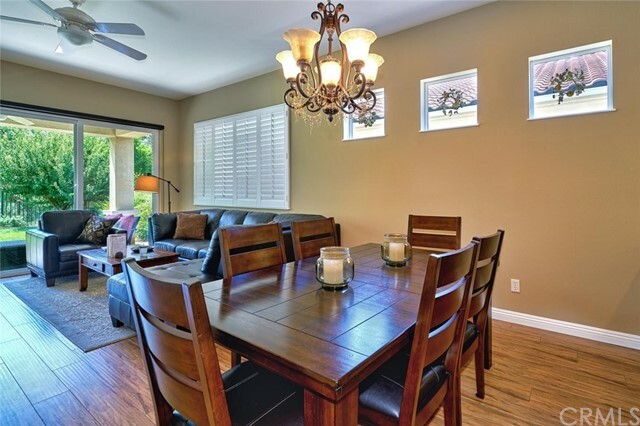 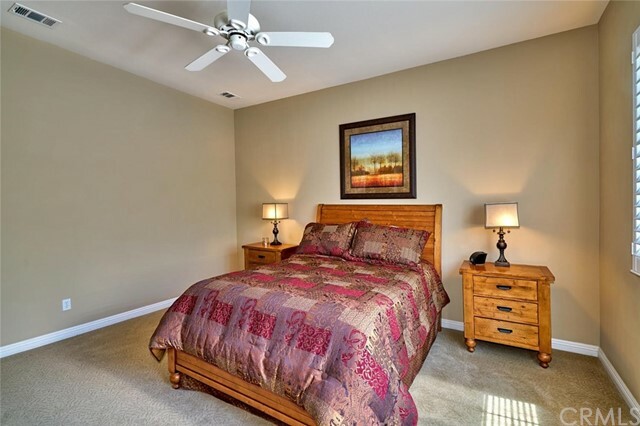 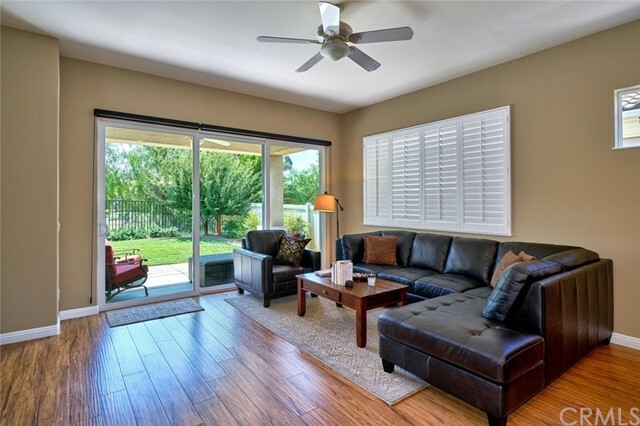 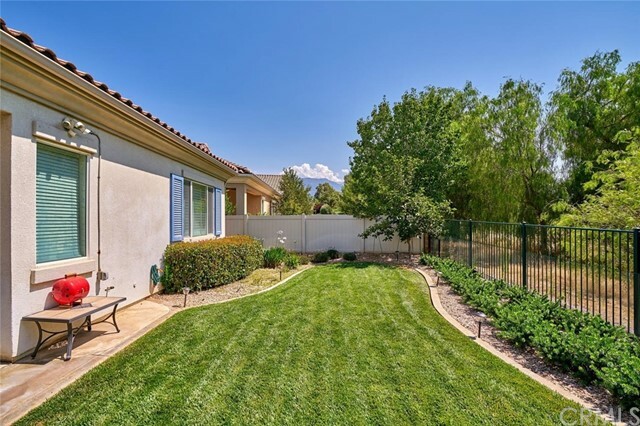 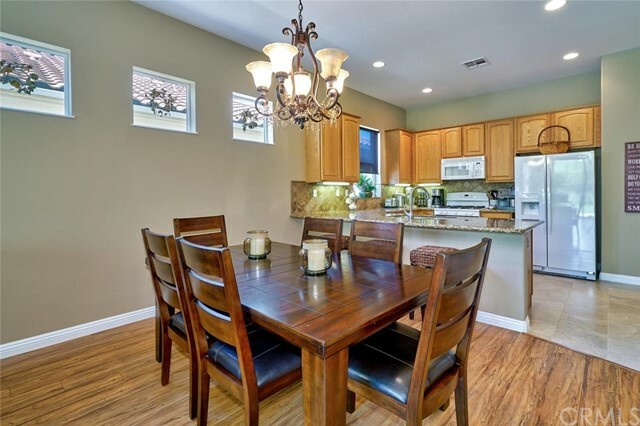 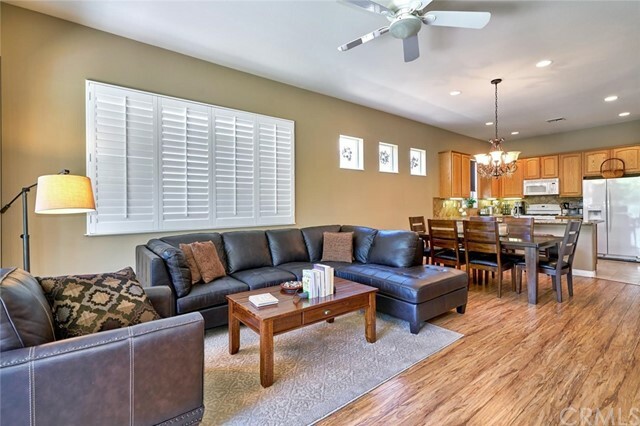 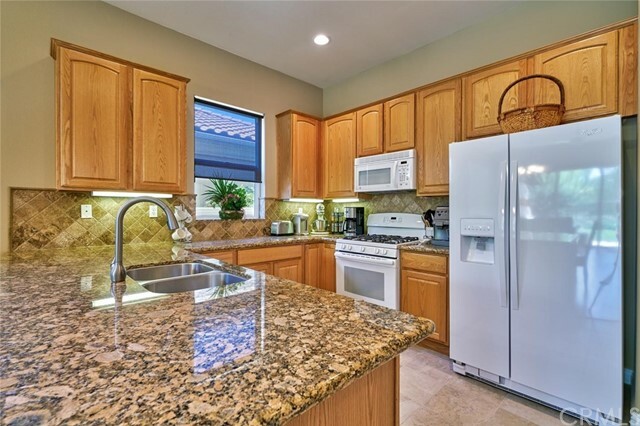 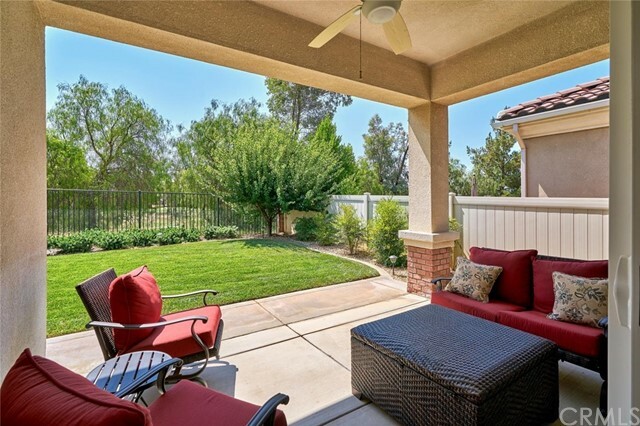 Gorgeous GOLF COURSE home in Solera near the end of a quiet street. 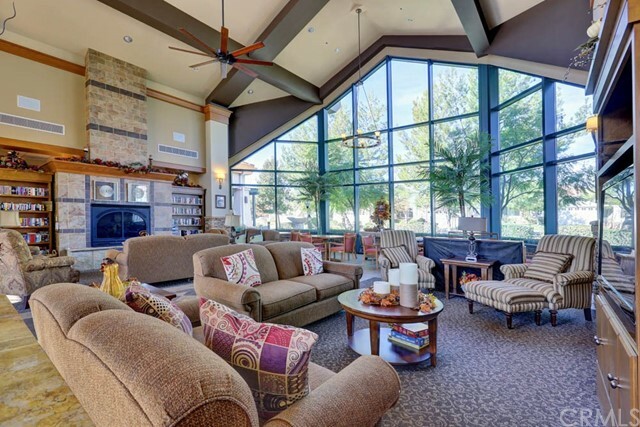 Used as a vacation home. 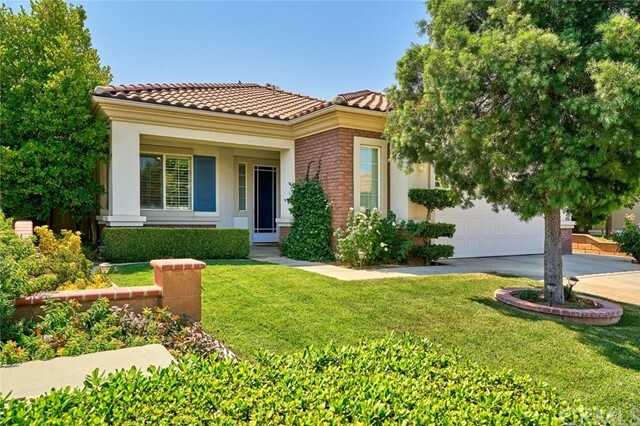 Great curb appeal with a decorative block wall on each side of the home. 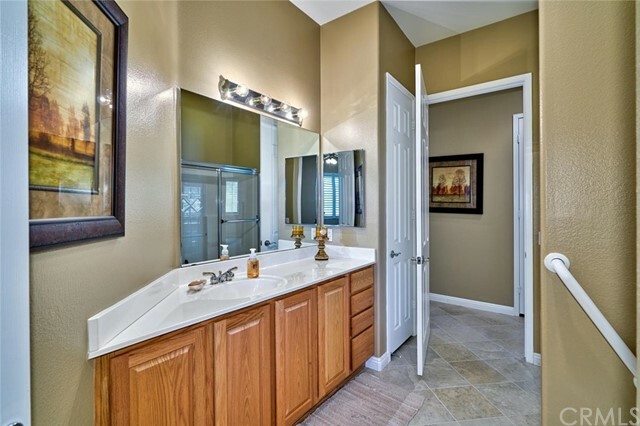 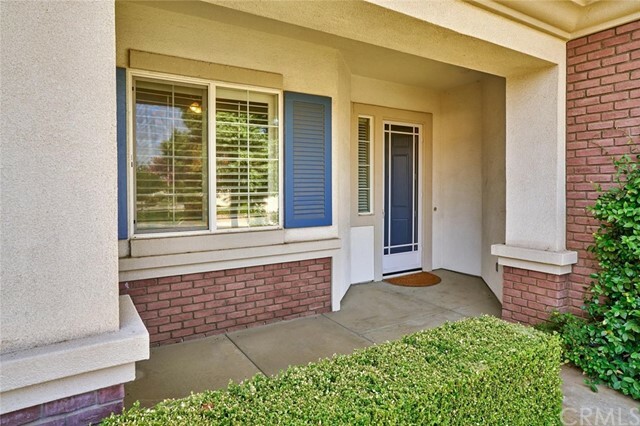 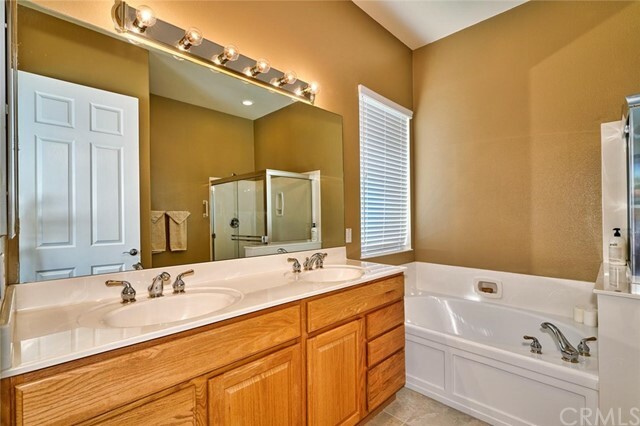 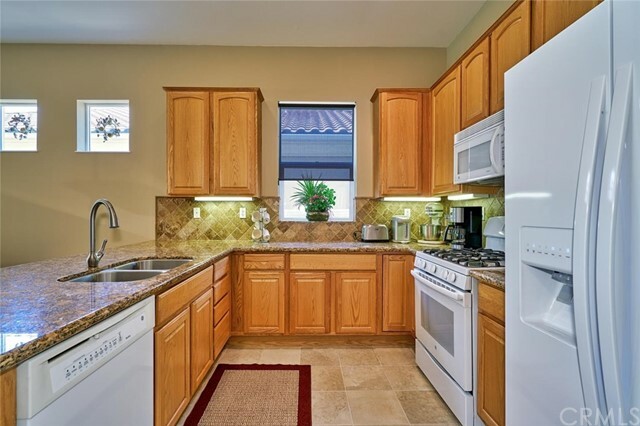 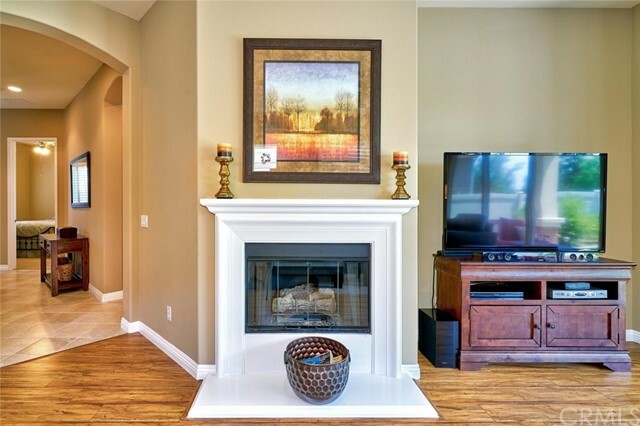 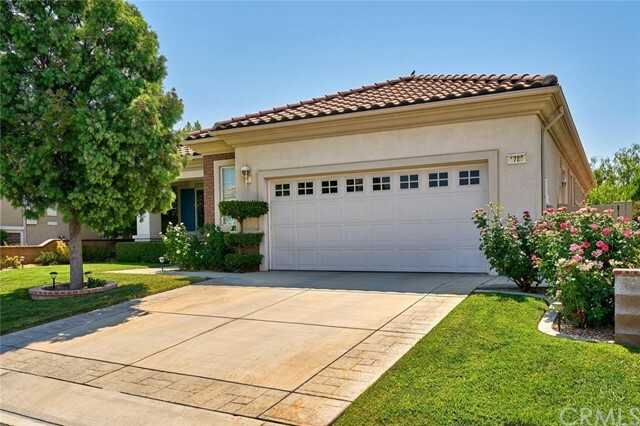 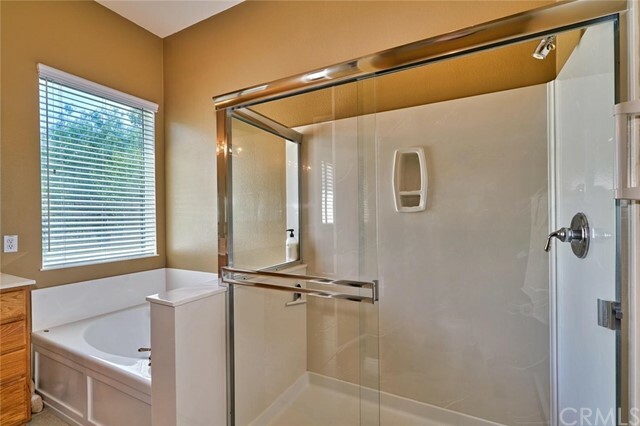 This home has 2 bedrooms, 2 baths and an office/den. 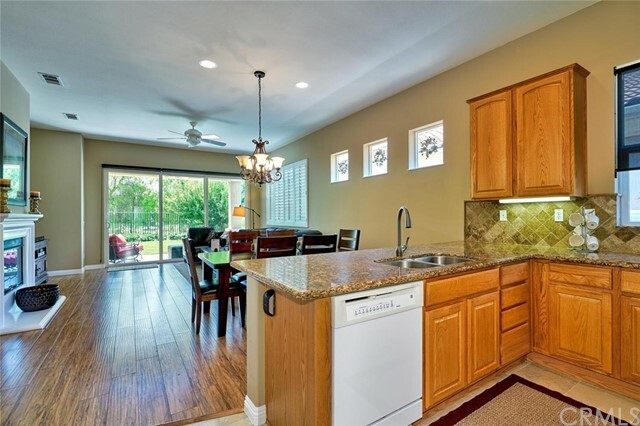 Lots of upgrades to include laminate wood flooring in the great room and den; plantation shutters in most rooms; granite kitchen counter tops; lowered kitchen counter to provide a larger food preparation/serving area; granite countertop in the laundry room; newer refrigerator and stove; newer upgraded carpet in the bedrooms; glass shower door in the guest bathroom; wood laminate in the master closet; front screen door; built-in garage cabinets and workbench; and the interior was painted just last year! 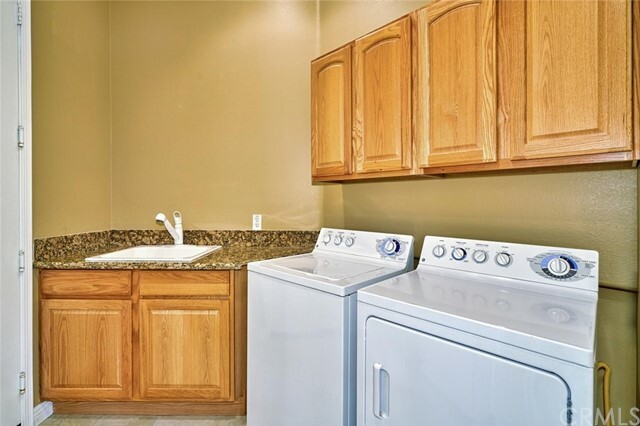 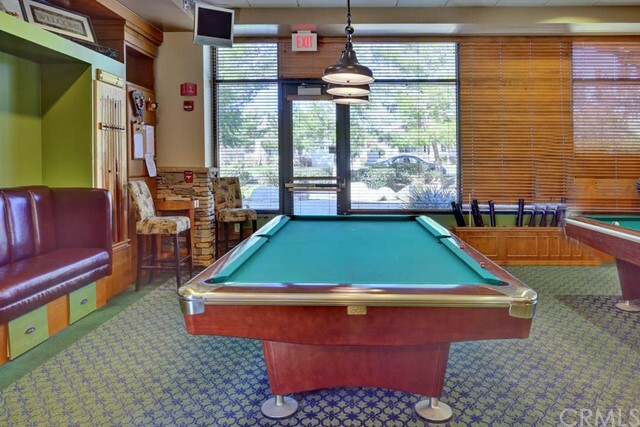 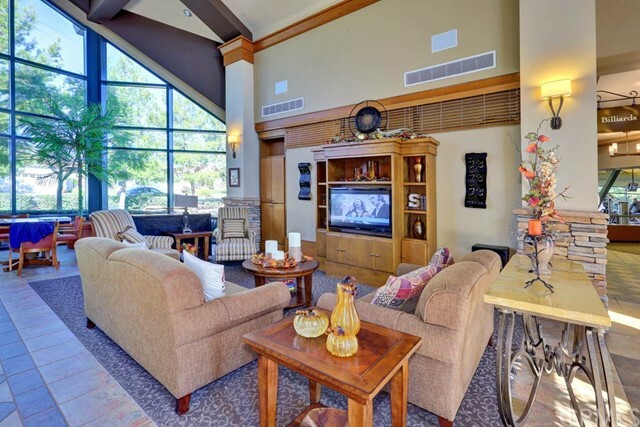 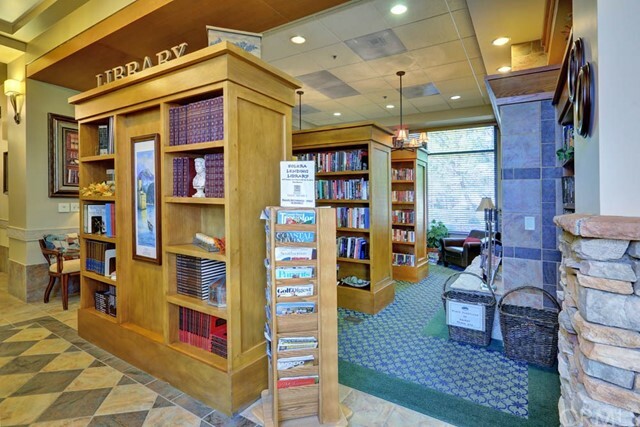 Solera's amenities include a guard-gated community with 24 hour security. 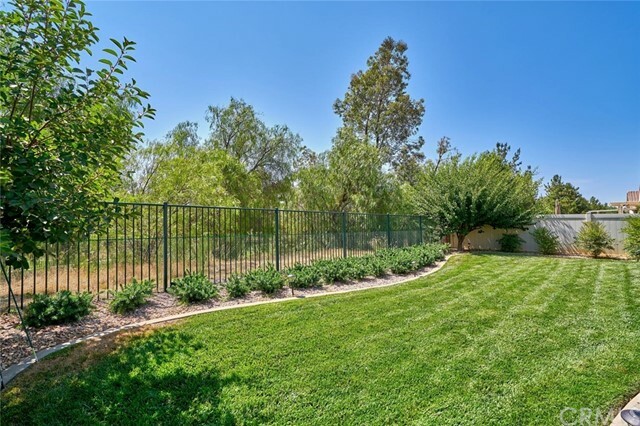 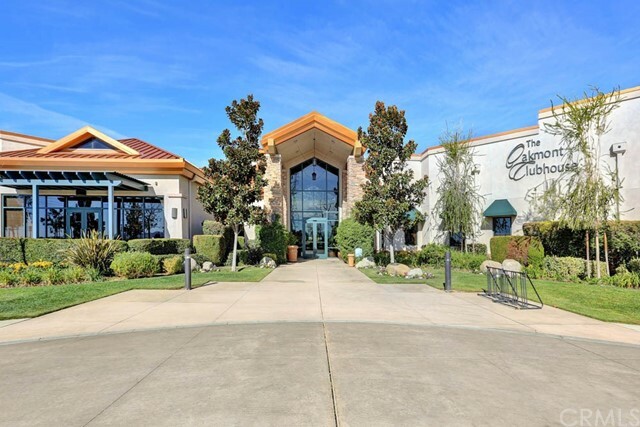 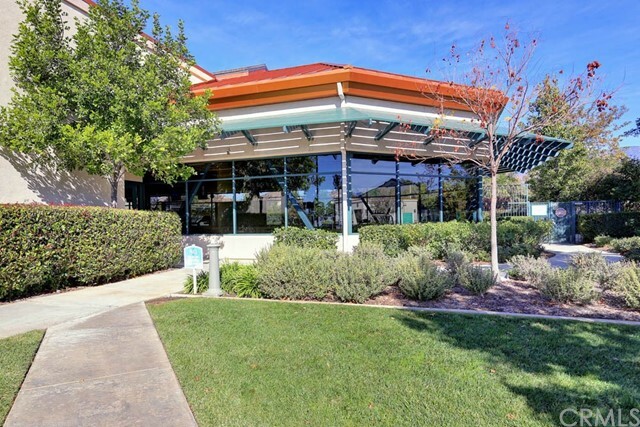 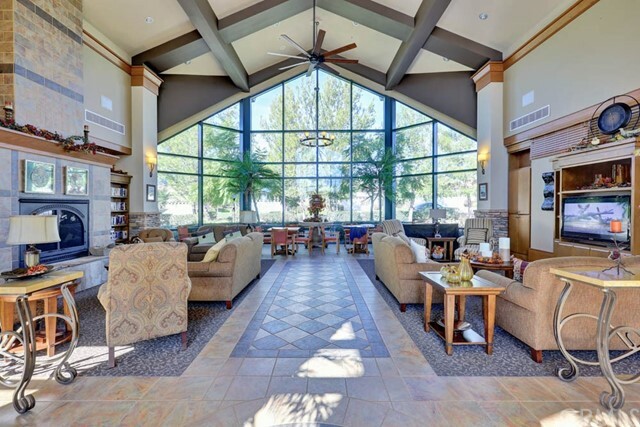 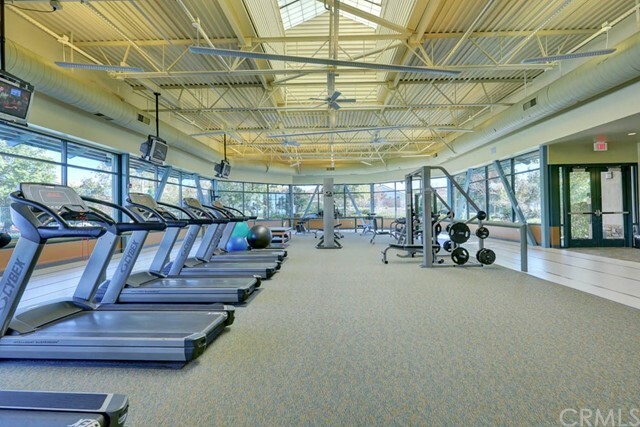 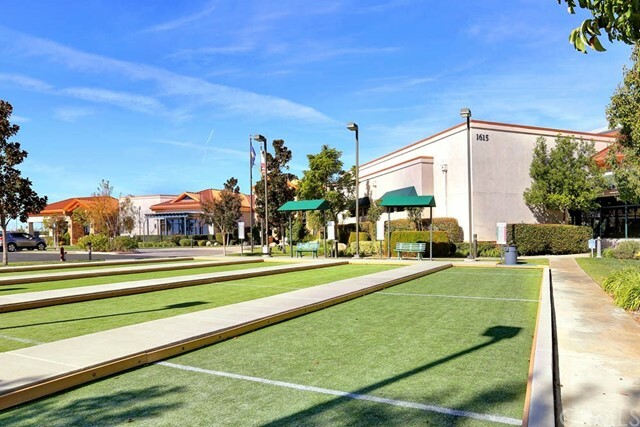 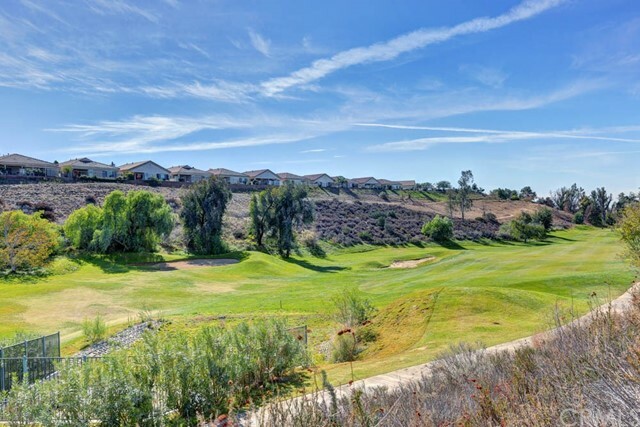 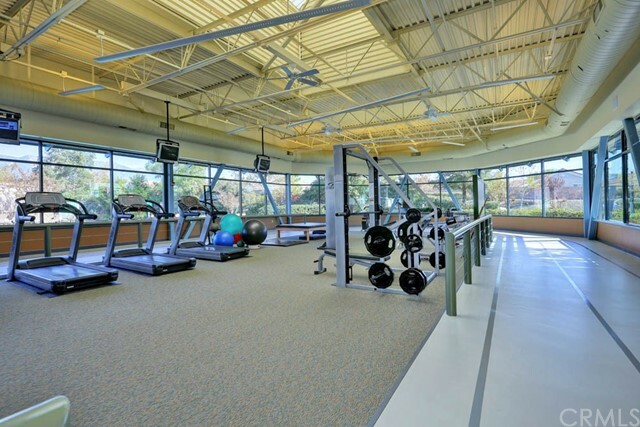 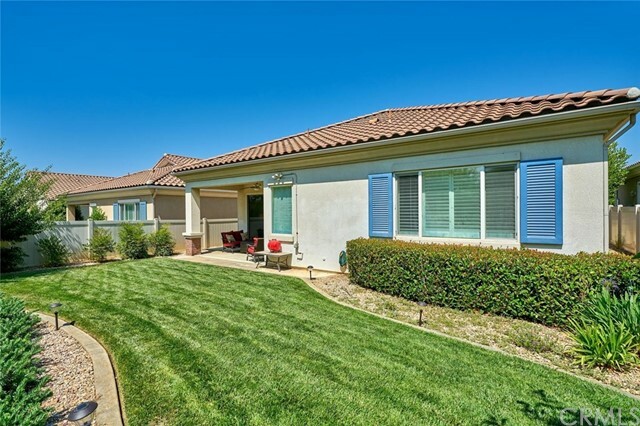 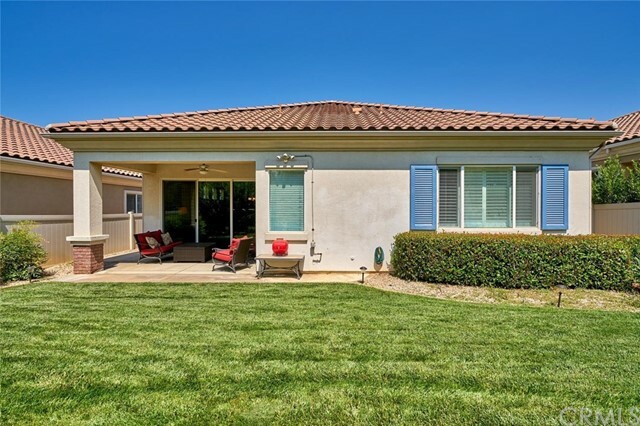 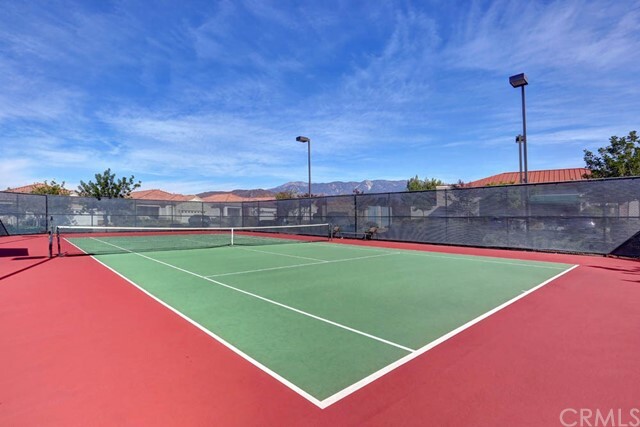 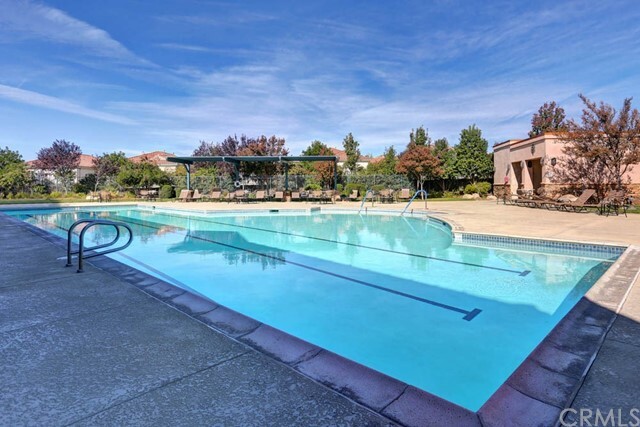 A club house with a gym, library, banquet facility, olympic size swimming pool and spa, bocci ball, tennis courts and close to Oak Valley Golf Course. 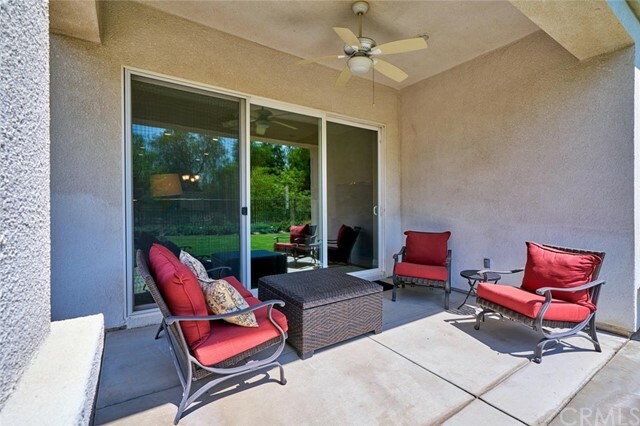 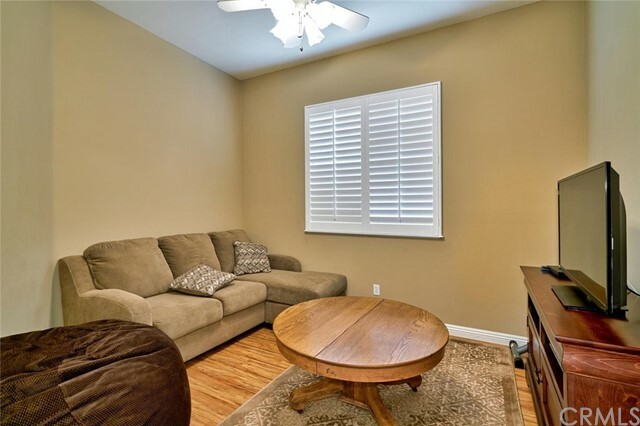 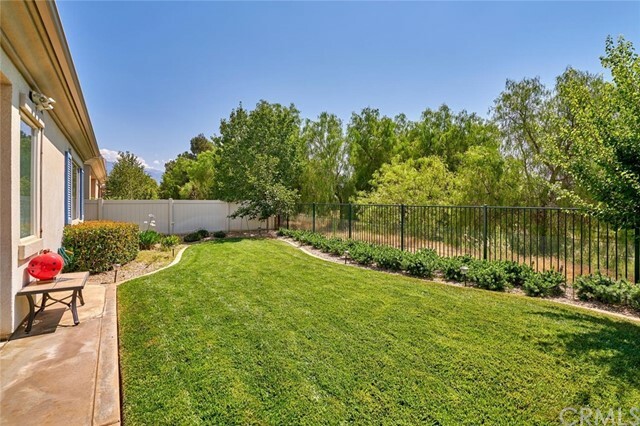 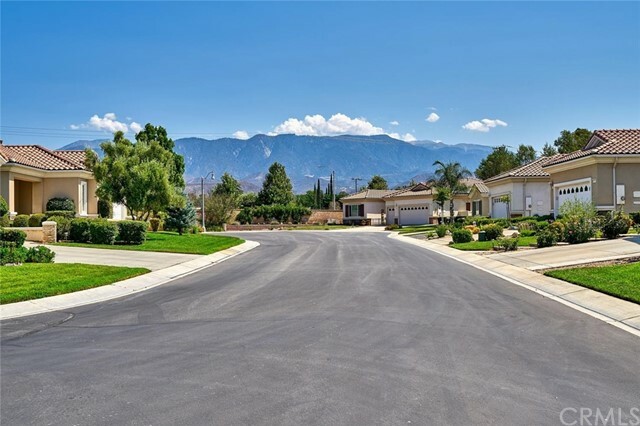 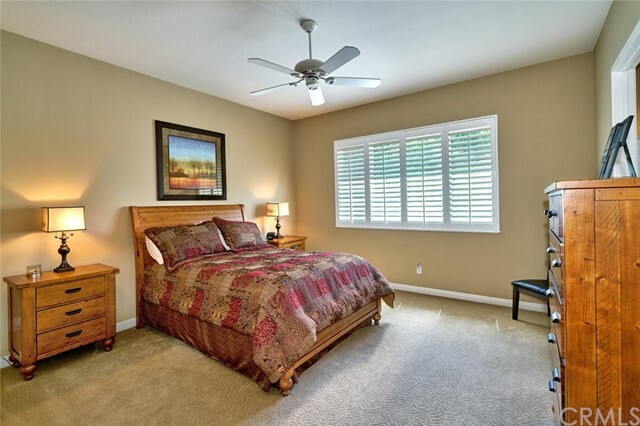 Solera is located approximately 30 minutes west of Palm Springs.